I’ve been banging on Instructure Canvas for a week now, and I have to say that I’m incredibly impressed in general. I don’t think I’ve ever said anything nice about a Learning Management System (LMS), but I have openly confessed my love for Canvas several times in the last week [more on that to come]. Last week was all about learning to use canvas with my TALDA guinea pigs. 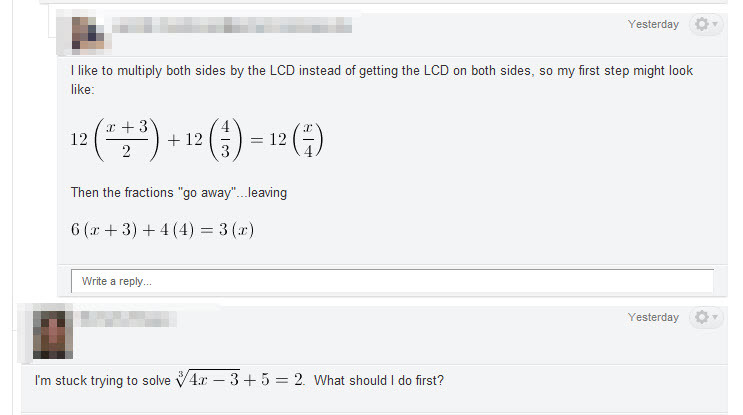 This week is all about figuring out how to do MATH in Canvas. NOTE: The Canvas discussion boards include avatars of students plus their names. I’ve blurred those out to protect the innocent (instructors pretending to be students). The equation editor built in to the WYSIWYG editor in canvas is actually quite good. I’ve had math instructors trying to break it all day, and we haven’t taken it down yet. 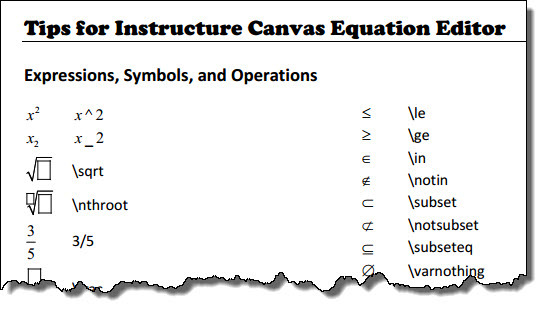 However, I did find that a cheat sheet for the Canvas Equation Editor would be helpful. So I’ve made one. You can find it under Resources / Handouts on this site. 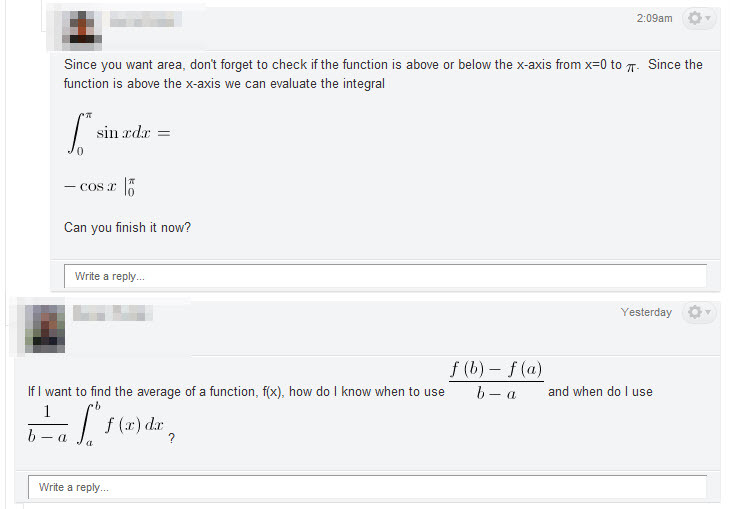 You can add equations in announcements, on pages, in modules, and in discussion boards. So can students. By the way, you can also (supposedly) paste a LaTeX equation into the editor directly, but I have not verified that one myself. Typing LaTeX commands right into the editor does not seem to work so well. Hopefully we’ll figure out easy ways to add graphs using the WYSIWYG editor tomorrow. Although you can embed on the instructor side, the students are unable to get to the HTML code to embed images, so we have to find a workaround for that. Thirty smart math instructors in a room should be able to figure this one out!